Sandwiches are a popular lunch or even dinner choice. They can be very convenient to make because little culinary skill is needed, they require no real time commitment and are made with few ingredients. These qualities offer quite an advantage to people seeking to eat a healthy diet but struggle with time constrains, low energy or a lack of knowledge in the kitchen. Just like any dish, the choice of ingredients will determine the nutrient content and its disease fighting ability. Sandwiches can offer superior nutrition when the correct ingredients are utilized. We often hear that the best bread option is 100% whole wheat because it includes the bran. The bran is the outer layer of the grain that contains the fiber. This recommendation is promoted in the attempt to increase people's intake of this essential nutrient. I find this to be a very blind recommendation. In order to make a palatable loaf of bread with 100% of the bran the whole wheat flour must be treated with dough conditioners and extra gluten must be added. Because of the processing many of the nutrients that are considered essential are destroyed and are added back in their synthetic form. However, many phytochemicals that have multiple mechanisms of action in disease prevention are not replaced. Also, conventional bread contains many preservatives to increase the shelf life. This can be seen on the very long ingredient list. Bread is traditionally made with four ingredients that include flour, water, salt and yeast. If one eats a whole foods plant based diet they will consume plenty of fiber and will not be dependent on highly processed bread to meet their recommended intake. Buy bread that contains only four ingredients. This means you will most likely buy from a local baker in your area. Because of the shorter shelf life, store the loaves in your freezer to preserve. Ditch that highly processed mayo and swap it out with a spread that is much more flavorful and healthy. Try Eat Well Embrace Life hummus or make up some spicy guacamole. By using a spread that is not animal based but provides protein and fat, makes the addition of cheese or meat unnecessary and increases its disease fighting ability. Stack your veggies high to get maximum nutrients. And by rotating the vegetables and spread, an unlimited combination of flavors can be made. 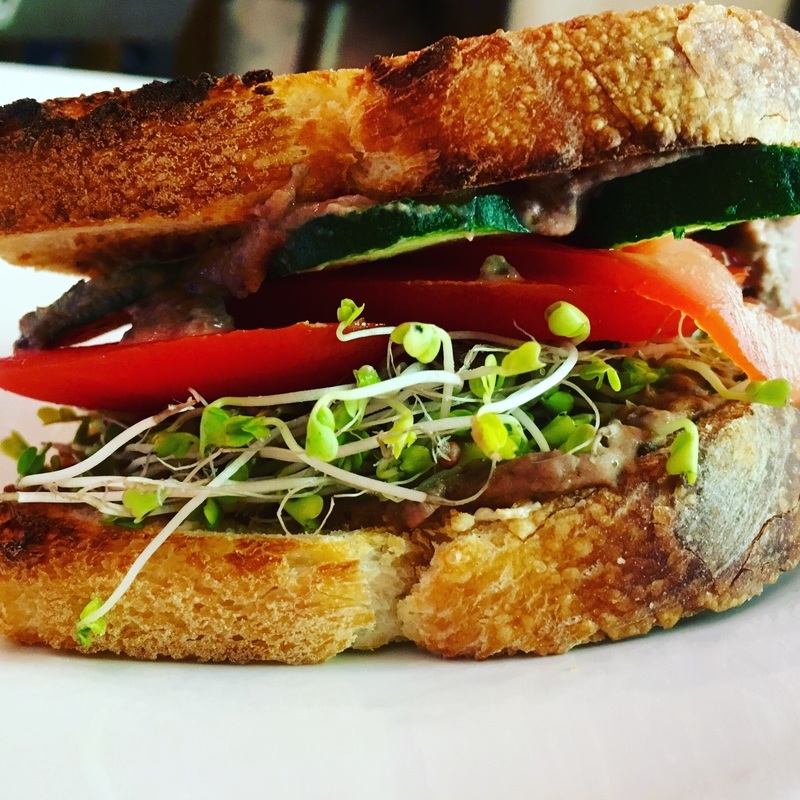 Rethinking the sandwich status quo is one way to have a satisfying meal and fight disease simultaneously! If the bread is in the freezer or if you like warm and slightly crunchy sandwiches toast 2 slices before building the sandwich. While the bread is toasting chop the veggies. Once the bread is toasted spread on the hummus or guacamole on each slice. Top the the sandwich with the produce.